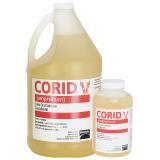 Used as a prevention and treatment solution for coccidiosis. Very helpful in stressful conditions for young animals. Use at times of weaning, transporting, docking, castrating, etc. 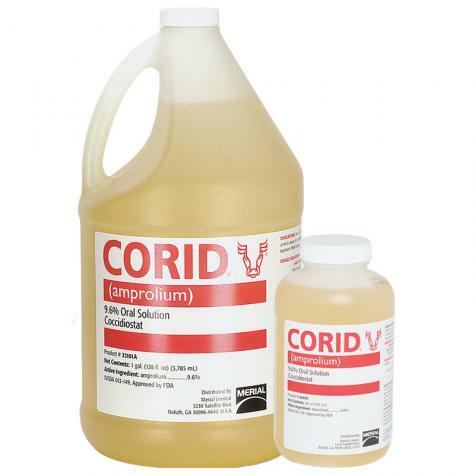 An aid in the treatment and prevention of coccidiosis caused by Eimeria bovis and E. zurnii in calves. Treatment (in drinking water): Add to drinking water at the rate of 16 fl oz/100 gal. At the usual rate of water consumption this will provide an intake of approximately 10 mg amprolium/kg (2.2 lb) body weight. Offer as sole source of water for 5 days. Prevention (in drinking water): Add to drinking water at the rate of 8 fl oz/100 gal. At the usual rate of water consumption this will provide an intake of approximately 5 mg amprolium/kg (2.2 lb) body weight. Offer as sole source of water for 21 days. Treatment (as a drench): Add 3 fl oz. 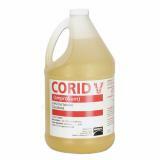 to 1 pt of water and, with a dose syringe, give 1 fl oz of this solution for each 100 lb body weight. This will provide a dose of approximately 10 mg ampolium/kg (2.2 lb) body weight. Give daily for 5 days. Prevention (as a drench): Add 1.5 fl oz to 1 pt of water and, with a dose syringe, give 1 fl oz of this solution for each 100 lb body weight. 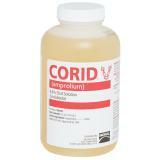 This will provide a dose of approximately 5 mg amprolium/kg (2.2 lb) body weight. Give daily for 21 days. Withdrawal prior to slaughter—24 hours. See additional information on label. See warning and cautions on label. For oral use in animals only.